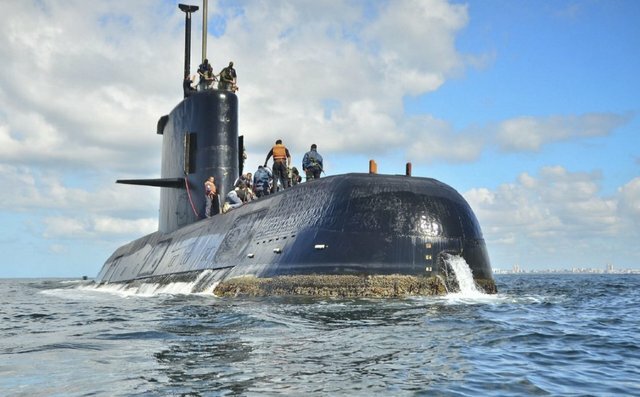 Argentina’s Defence Ministry said Saturday night it had detected seven communication attempts throughout the day from an Argentine navy submarine with 44 crew members aboard that has been missing since Wednesday.“We received seven signals from satellite calls that originated from the San Juan submarine,” Defence Minister Oscar Aguad wrote on Twitter. “We are working hard to locate it and we are transmitting hope to the families of the 44 crew members: that they’ll soon be able to have them in their homes.”The Defence Ministry said it is working with a U.S. company that specializes in satellite communication to determine the exact location of the signals.“This changes everything,” said Fernando Morales, a navy expert and vice-president of the Argentine Navy League. “It’s a very hopeful sign because it suggests at least several crew members are alive.”To carry out the communications attempt, the submarine had to be close enough to the surface of the water to take out its antenna, explained Morales. “It should move along relatively quickly now,” Morales said, characterizing the communication attempts as the first optimistic news since reports of the missing submarine began transfixing Argentina on Friday morning.NASA, a U.S. navy aircraft and a British Royal Navy ice patrol ship on Saturday joined the search for the missing submarine, the ARA San Juan.The search was hindered by strong winds in waters off Argentina’s Patagonia, where the submarine was believed to be stranded, officials said. A day after playing down the severity of the situation, Argentine officials on Saturday signalled growing concern as they welcomed all international assistance.